Used this for first time. Very accurate, tight groupings out to 200 yards. Hit man sized target consistently at 400 yards. Unbelievable. 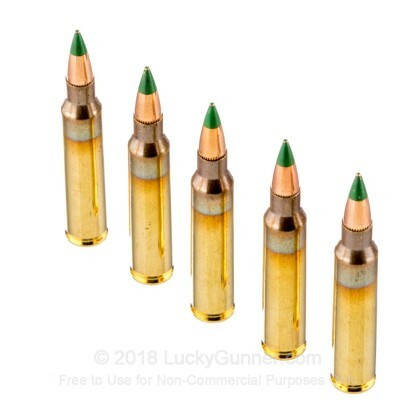 I just brought an Ar15 and this ammo worked perfectly even tho the gun store that sold me the rifle told me to only use Hornaday ammo and that ammo is very pricey just to shoot at the range. So this is what I use now and it great. I'll be buying my ammo from here from now on. Great product, great price and shipping was crazy fast! My family & friends shoot about 1,000 rounds a month during spring & summer. So we always buy the 1,000 round case. Very good value for quality ammo. Never had a problem with PMC. Everything was A+ would order again from website!!;!! Everything was A+ would order again from website!!!! Product delivered on time and in great shape. Packaging was excellent and product delivered in perfect condition. Ordered on Monday and shipped same day....delivered to my door in San Diego on Friday the same week. Great service and product. PMC ammo has excellent quality control-never had any problems. If you have a nice AR it is worth paying a little more for this quality ammo. No problem ammo very accurate. Lucky Gunner rocks!! Have used PMC for a long time. Not one problem with this Ammo. Delivery was quick also. I will continue to use PMC from Lucky Gunner! Great service, great value, impressive ammo for my m&p 15. I will be stocking up on this. Shoots true, never had any misfires or jams! You simply cannot buy better for this price point! I have purchased this item many times. 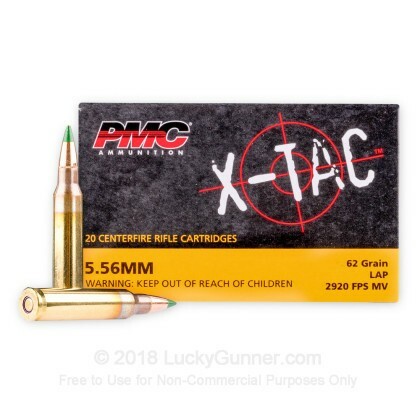 No issues at all with PMC AMMO! LG ships quick! I have had zero issues with the PMC 5.56 ammo. Always reliable with no miss fires since I've been using this brand. Good price and good quality and good service from Lucky Gunner. quick delivery and shoots great!! Shoots really well in my LMT. As for service Lucky Gunner cannot be beat. For an experiment I ordered 10 boxes of this from Lucky Gunner and 10 boxes of the same from Mxxxxxx, and Axxxxx, all within ten minutes of each other. All are well recommended ammo online sites. Lucky Gunner had mine delivered in three days. Mxxxx was three days after Lucky Gunner, and Axxx has not arrived yet. The proof is in the pudding. Plan on buying much, much more from Lucky Gunner. No jams, cheap price, no gunk left in the gun, overall good. Just wish it was American made. The entire purchase was fantastic. Good quality, prices, and customer service. This order was mainly for bolstering my arsenal. I did shoot a box to get in a little practice. Ammo cycles without a hitch a hits where I want it to. I will buy again from lucky gunner. Best ammo website I have found, easy to use and has plenty of selection. Prices are good, shipping was also reasonable and quick. I will be using Luckygunner from now on. I've fired over 5000 5.56x45 rounds of various PMC Ammunition over the last 2 years. Much of it purchased at LuckyGunner. This web-site is great. Fast shipping. This particular 62 grain ammunition is accurate and shoots clean. I have never experienced any ammunition related malfunctions with PMC ammunition of any caliber or type bullet. Nice Ammo For Sure ! This Ammo Performed Great, Penetrates As It Should Also, Price Is Reasonable As Usual With Lucky Gunner. Still The Best As Far As I'm Concerned!! I will blow tons of zombies away with this ammo!!!! I will buy PMC from now on with all calibers for the guns and rifles I have. I was surprised and pleased at how well they looked and fired. I recommend PMC ammunition to everyone. Great product, quick efficient service. The ammo was competitively priced, got to me in a reasonable time, and functioned as expected. 100 rounds- 0 FTF/FTEs. Fires clean and accurate. Can't give ANY ammo 5 stars on value right now- but was glad to see the price come down some after I purchased it. Would definitely recommend it. Great job by LG- ordered Monday, at the front door Thursday. While it's not the "best" ammo out there, I do love the PMC in 62gr. I'm shooting about 2" groups at 100yds, run through a Bushmaster M-4 type carbine. I'm not the greatest shot in the world, so I'm very happy with the performance it gives me. Never have had a jam or misfire with this ammo. While the price is a TAD high, that's the current situation we have. Supply and demand, per se. And if I can afford it, I have no problem with LG making a few extra bucks off of me. That's called Capitalism, folks. I'm fine with it. Next purchase will be 1,000 rds. but I'm saving up for that. All in all, a great product and EXCELLENT service and delivery from LG. Given the nature of things at the moment concerning 2nd Amendment, I was reluctant to purchase at this price per round. 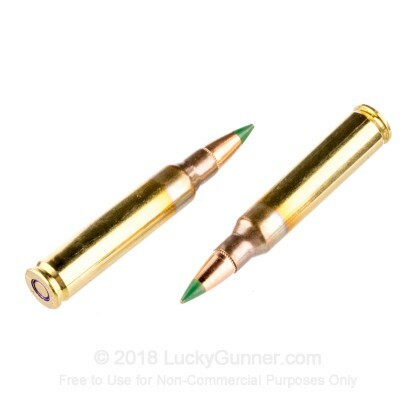 This ammo feeds well, shoots great. I'm using 5.56 for SHTF but plink with the cheap steel Tula .223. It is what it is at this point. Phenomenal quality and performance! I was amazed the pricing was so low when the quality is top-notch! 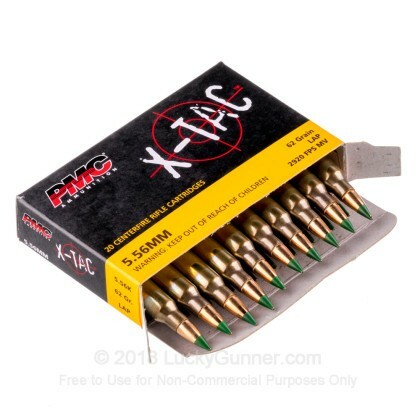 I would definitely recommend, and will be look forward to future purchases of this ammo! I'm always looking for great ammo at a great price. I shot a little over two hundred rounds with no malfunctions. I put this ammo through 10, 30, and even a 40 round magazine with no problems. I will definitely be using this again in the future. Besides not having any issues with this ammo, shipping was exactly what I've come to expect, fast, secure, and on time. I was really happy with this ammo. The price was better then local what I can find local. The rra I have some to love this 62 grain stuff . This stuff is accurate, reliable, inexpensive can't go wrong with that. Great groups, great quality and not a bad price. Clean, accurate, reliable, inexpensive. Can't wait for them to be in stock again. 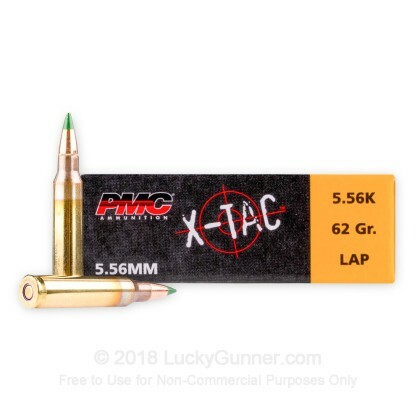 Have tried other high priced 62 gr.855 ammo, but by buying this ammo, you get the exact same quality performance and have money left over to buy more ammo or targets. "smart"!!!! Keep shooting. This shoots very accurately in my S&W MP and no malfunctions. I'm getting better groups on paper that with 55 grn. 16" 1-9 twist. This stuff is unbelievable I have shot about 500 round through my M4 never had a dud or a misfire. 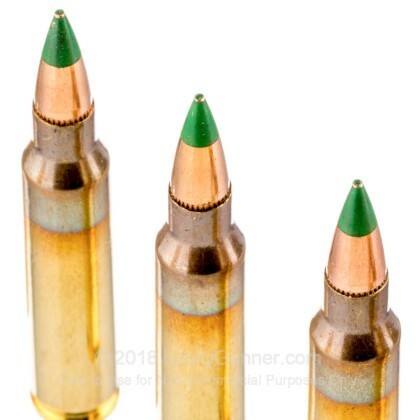 The 62gr sets this round aside from 55gr bullets and the brass is spotless. Great Value I buy at least 100 rounds every time its in stock. We also have this 5.56x45 - 62 Grain FMJ M855 - PMC - 1000 Rounds ammo in stock in a bigger quantity.